With IPL 2019 starting from tomorrow, the teams have already started gearing up for the cricketing extravaganza which begins with Chennai Super Kings locking horns with Mumbai Indians. 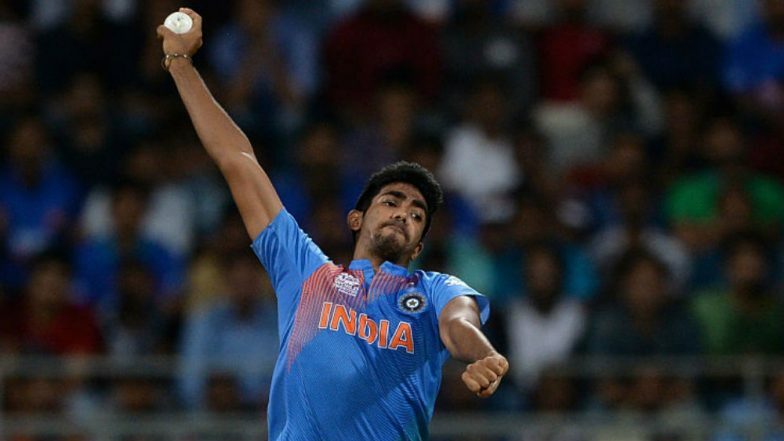 Ahead of the IPL 2019, Mumbai Indians on their social media pages shared a video of Indian pacer Jasprit Bumrah joining the team for the pre-season camp. In the video we see the Indian pacer being welcomed by the gateman with his hands folded and Bumrah also nodded acknowledging the gesture. Mumbai Indians Squad in IPL 2019: Team Profile, Schedule of MI in VIVO Indian Premier League 12. The gateman further extended his hand for a handshake and by then Bumrah had looked away to say Hi to the camera. Accidently, Bumrah even ignored the handshake by the gateman. This did not go down well with the netizens and they slammed the Indian pacer on social media. “Watch: Boom is back 🔥#CricketMeriJaan #OneFamily @Jaspritbumrah93,” read the caption of the video. Check out the full schedule of the IPL here. Check out the trolls below. Go back and shake the hand with the Man. You can do it. This netizen asked Bumrah to respect the man. He nodded his head for namaste and moved on, than the man wanted to shake hands, he didn't saw that. While speaking about Bumrah, Mahela Jayawardena said, “He is always an attacking option with his wicket-taking ability. In the death overs, he has all the skills and he backs himself to do that. He is definitely a game changer.” Bumrah will be seen live in action for the match against Delhi Capitals in the first match of the Mumbai Indians at the Wankhede Stadium.